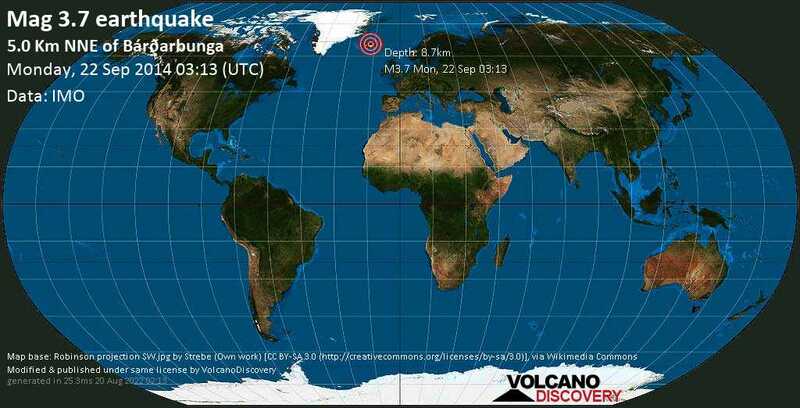 Maintaining the volcano and earthquake news sections on this website, the free Volcano Webcams tool and interactive map widget is a free-time, both time- and server cost intensive effort. If you find the information useful and would like to support us, and help keep it alive and improve it, please consider making a small donation. Thank you! If you felt this quake (or if you were near the epicenter), please share your experience with us and submit a short "I felt it" report. You can use your GPS or device location as well to show where you were during the earthquake. - thank you. Volcanic Ash Advisory Centres: Much current eruption news is provided by the 9 Volcanic Ash Advisory Centres (VAAC) distributed around the globe. The VAACs provide a vital service for aviation safety. Latest quakes in CA, USA: Complete list and interactive map of current earthquakes in California. Photos from volcanoes all over the world, taken during our expeditions.